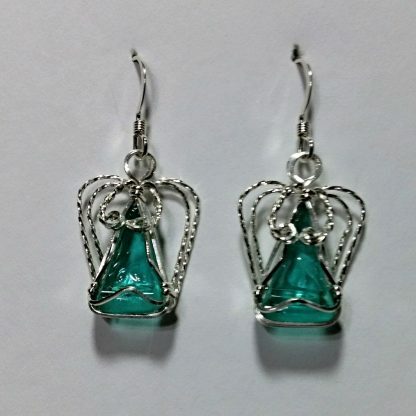 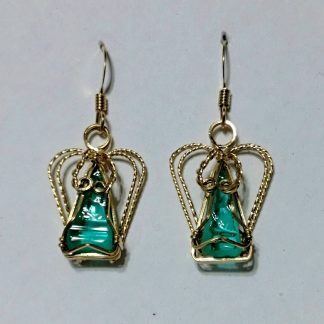 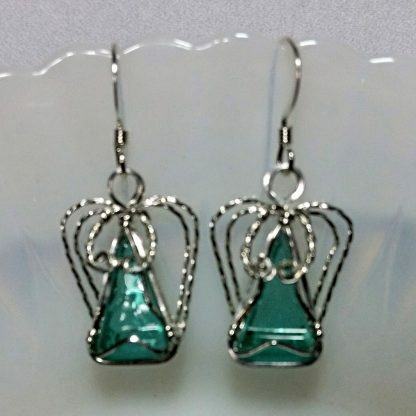 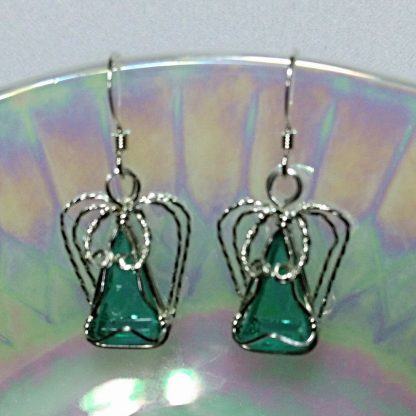 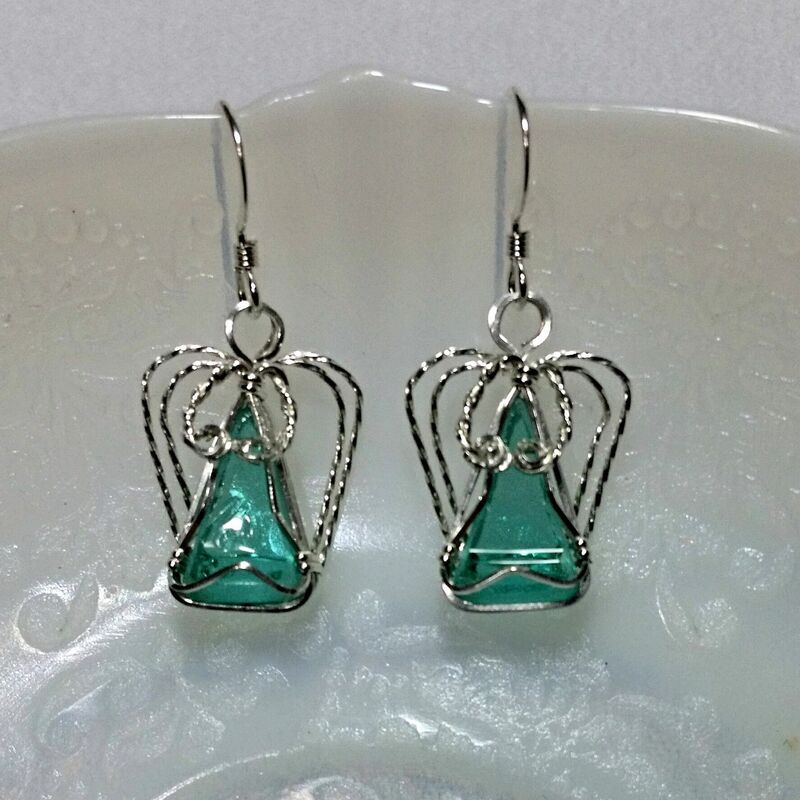 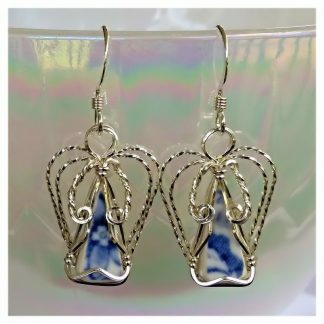 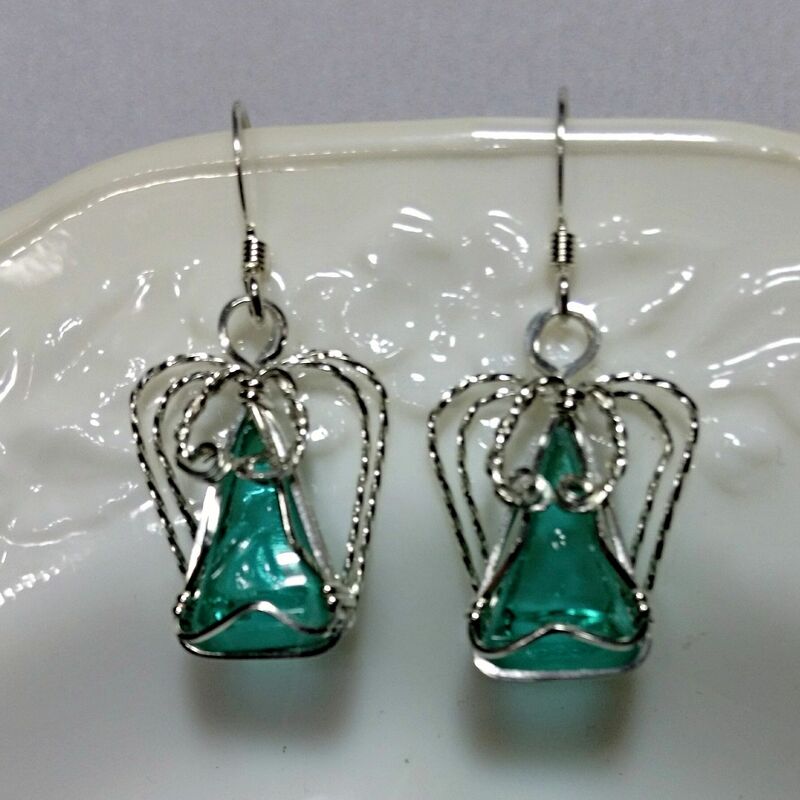 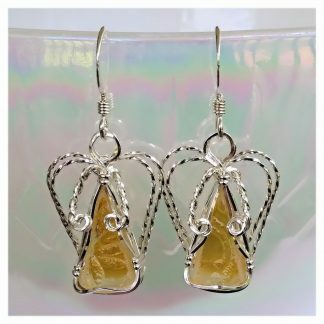 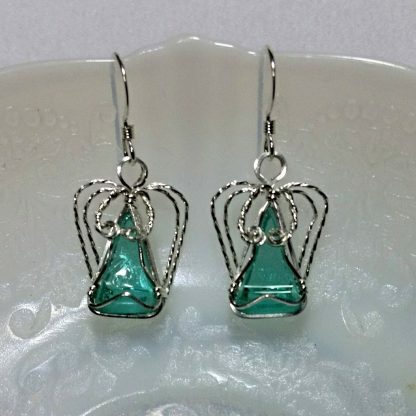 This pair of small angel earrings is made from depression glass. 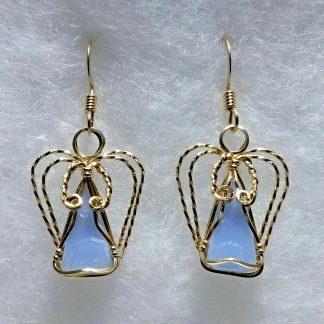 The glass pattern is Doric and Pansy produced from 1937-1938 by the Jeannette Glass Company in Jeannette, Pennsylvania. 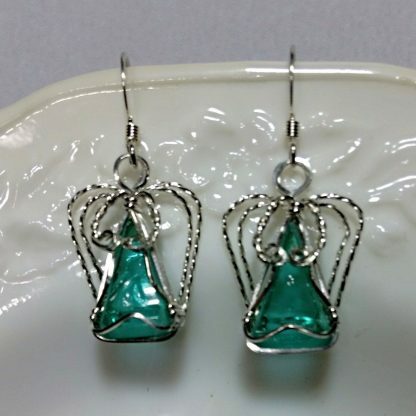 This green piece of glass is cut, shaped, and wire wrapped in the angel form with sterling silver wire and attached to sterling silver ear wires. The height of these angels from the top of the head to the base is approximately 7/8” or 23mm.